Bill Yankee and his wife moved to Lander not knowing a soul. As a visitor, you may be in the same situation. 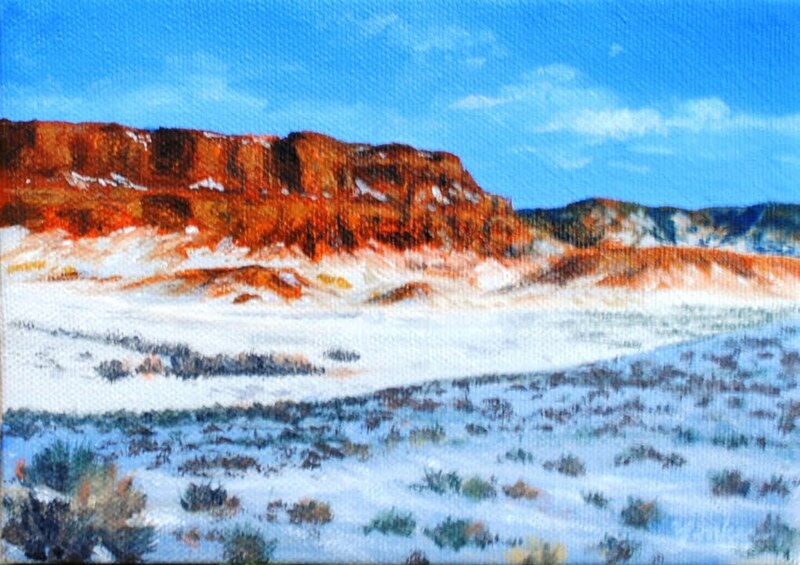 Bill, an artist, recommends getting to know the people and characteristics of Wind River Country in its galleries. Bill encourages travelers to explore the Lander Art Center, Alchemy, and beyond to the galleries in Dubois, Riverton, and on the Wind River Indian Reservation. These galleries show off all the ways that Wind River Country nurtures creativity, from beadwork to pastels. Bill believes that to be a distinctive feature of the galleries here. Many galleries show art from around the world, his included. But to see local art, inspired by the surroundings you’re in as you gaze upon it, is a special experience. It’s one visitors and residents alike can soak up in Wind River Country. Bill’s work in particular bestows viewers with a sense of place. The lifelong artist originally came to Wyoming to work on a ranch, and he continues to draw inspiration from the cowboy life. “I’ve always liked the Western landscape, and when you’re out in it working as a cowboy, when you’re immersed in that landscape, you see so many things you wouldn’t see just driving down the highway. That gave me a stronger desire to express the landscape and the space and the light, especially, in my art,” he explained. Over the years, his landscapes have become “a bit looser.” Instead of striving to capture a specific place in all its detail, he’s moved toward “expressing the essence of landscape, like light and color and texture.” When you’re pulled into one of his paintings, it may be this looseness that allows you to recognize it as someplace you’ve been or explored before. His oils and pastels almost feel like a memory from a long-ago hike or horseback ride in the Wind River Mountains. In the last five years, Bill has been relaying a sense of place in a new medium: etched glass and painted etchings. 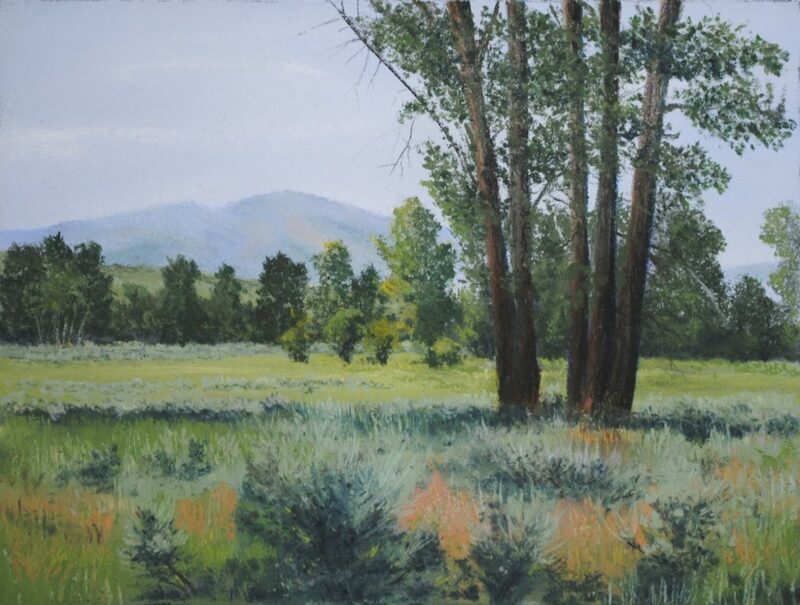 In these, Bill focuses on one element of life in the Rocky Mountain West: a horse, aspen leaves, or a pair of elk. “With my glass etching work—and I’m starting to add and do some of the painting on the etching—it’s exciting because I haven’t really seen anybody do exactly what I’m doing. I’m excited about all the possibilities that might hold,” Bill explained. 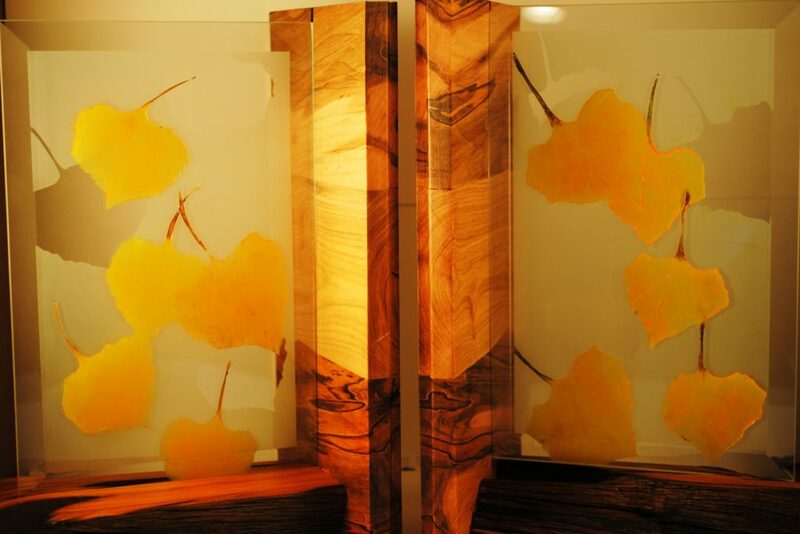 As he pushes the boundaries of glass etching and color, he recalls where this venture began. “I actually got into that from teaching at the high school. We taught a stained-glass class … began playing around a little bit with glass etching,” he explained. Bill was Mr. Yankee at Lander Valley High School for 27 years. Teaching was what brought him to the unknown town of Lander in the first place. Now he has the satisfaction of seeing former students succeed in the commercial, fine art and education fields, and has even had the experience of former students showing their work in the same shows he has been in. Bill loved teaching high school art, and he still loves Lander, in large part because of the importance the community places on art. In the past 30 years, he has celebrated watching the tradition of strong art programs in the school bleed onto Main Street in the form of galleries, classes, and artist cooperatives. The Lander Art Center opened in 2003. In addition to raising the profile of Lander and attracting more artists to town, the Lander Art Center offers classes to children and adults in the community. It brings in rotating shows for the benefit of locals of all ages and interests. Finally, the center is a place for residents to display their art locally and show visitors what they love about living here. Bill always exhibits his work in the members’ show and has served on the Lander Art Center Board. His current role in advancing the arts in Lander is as a member of Alchemy, a local art co-op. “I still travel for shows or put my work in galleries in other places, but one of the things that’s been a real benefit of Alchemy is being able to have a place to show my artwork in a town I live in,” he explained. When you step back and look at the art landscape of Lander, Bill has been a stroke of inspiration for more than 30 years, though he pushed back on the suggestion of his being influential.